A by-election in the Victorian (Australia) state district of Altona was held today, February 13, after the resignation of incumbent MP and Minister of Public Tranport Lynne Kosky. Altona is located in the southwestern suburbs of Melbourne, including the suburbs of Altona, Altona Meadows, Laverton, Seaholme and large parts of Hoppers Crossing. Melbourne’s western suburbs are known to be poorer working-class areas, and a number of them are multicultural in terms of ethnicities. Altona itself is slightly more affluent and middle-class than most western Melbourne, but remains largely working-class as well as multicultural, with over 30% being born outside of Australia. The district also has a low number of people holding diplomas. Altona has been held since its creation in 1992 by Labor, and it is classified as a very safe Labor seat in the Victorian political pendulum. Lynne Kosky has been the seat’s MP since the 1996 election, and she won 70% of the 2PP vote last time (and won on first prefs as well, with 60.6% against 23.9% for the Liberals). The Liberals have decided to contest this by-election, which is somewhat unusual since major parties don’t usually contest by-elections in safe seats held by the other major party. The proximity of the November 2010 election in the state and the opposition Liberals’ desire to show their strength might explain this decision. The Liberal candidate is Mark Rose. The Labor candidate is Jill Hennessy. There is also a Green candidate and five other candidates (of which four are Independents). FTR, in 2006, a Family First candidate won 7.08% of the vote in Altona. Hennessy won all polls except one in Point Cook, which has a RAAF air base. Liberal candidate Mark Rose is a former RAAF pilot, so he probably got a boost there from that. This is obviously a very good result for the opposition Liberal Party, and it might encourage the party. The last poll for the November 2010 election showed a 53-47 2PP result in favour of Labor, but the actual results of this by-election would, if replicated state-wide, give the Liberals a good lead. However, this is a by-election in a seat where a popular long-time MP was retiring, so it is best not to take out too much from here except for ‘good Liberal result’. 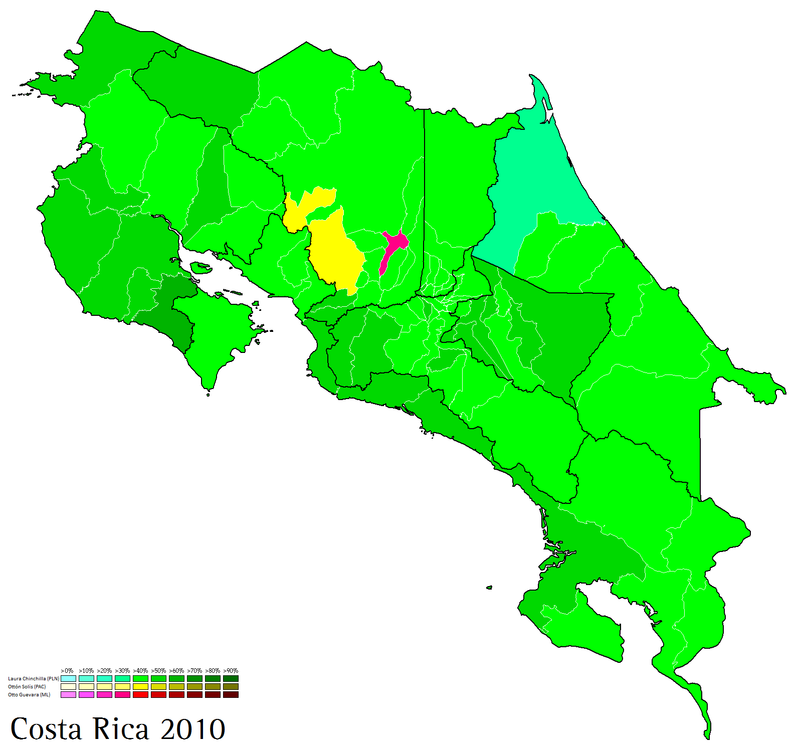 General elections were held in the Central American nation of Costa Rica on February 7. Incumbent President and Nobel Prize Laureate Óscar Arias, elected to a second non-consecutive term following a very narrow election in 2006, was not allowed to seek re-election. The 57 members of Costa Rica’s 57-member Legislative Assembly were also up for re-election. In the largely middle-class and racially homogeneous, consensus-based peaceful, moderate politics have prevailed in Costa Rica since a period of brief turbulence in 1948. Between 1948 and 2006, Costa Rican politics were very bipartisan with two major power blocs: on the left, the National Liberation Party (PLN) and on the right, the Social Christian Unity Party (PUSC). Ideological distinctions were often blurry between both parties, though historically the PUSC advocated more neoliberal economic policies despite being a ‘social Christian’ and populist party. Still, the PLN under President Óscar Arias has moved to the right and many members of the PLN’s left-wing have criticized the party’s shift to the right and some members of the PLN, such as Ottón Solís have left the party. The PUSC, whose candidate Abel Pacheco won the 2002 election, was destroyed by a large corruption scandal involving former PUSC Presidents following the 2002 election. In the 2006 election, Arias, who was first elected in 1986 and left office in 1990 with a Nobel Prize in hand for his efforts at peace negotiations in neighboring countries which had been engulfed in civil wars in the 80s, was allowed to seek re-election in 2006. He won 40.9% of the vote against 39.8% for Ottón Solís. The PUSC’s ﻿Ricardo Toledo won 3.55% of the vote. In an internal PLN primary, Arias’ candidate, Laura Chinchilla defeated the candidate of the PLN left – Johnny Araya, Mayor of San José with 55% against 41% for her main opponent. 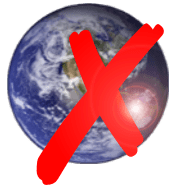 Chinchilla is a member of the so-called Arista wing of the PLN, or the right-wing which supports CAFTA (free trade with the US) and positions itself outside the PLN’s historical socialist ideology and more on a Third Way scale. Italicized candidates dropped out in favour of Ottón Solís. In the legislative elections, here are the results for the major parties. Data from the TSE and La Nacion newspaper. The other parties winning seats include the left-wing ‘Accessibility without Exclusion’, a single-issue (disabled rights) party; the Costa Rican Renovation (PRC) party which is a Christian Protestant evangelical right-wing party; the very left-wing Broad Front and a party ‘National Restoration’ which I can’t find information about. More results and all on La Nacion’s website. The second round of the Ukrainian presidential election was held on February 7. The runoff opposed the top two candidates of the first round, former Prime Minister Viktor Yanukovych and incumbent Prime Minister Yulia Tymoshenko. 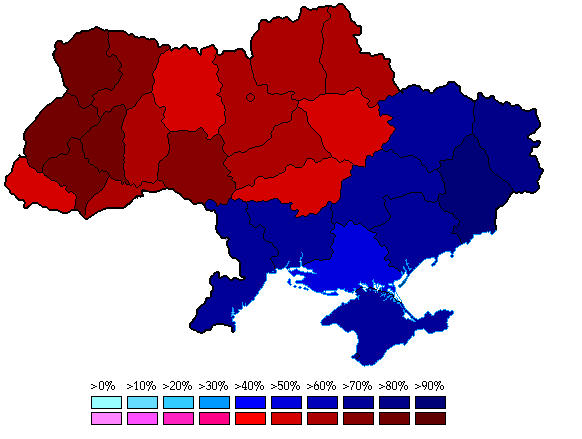 As mentioned in earlier posts about Ukraine, both candidates represent a faction of the political debate which makes Ukraine one of the most electorally polarized countries in the world: the pro-Russians (Yanukovych) and the pro-Western/Ukrainian nationalists (Tymoshenko and defeated President Yuschenko). Here are the results of the runoff with 99.44% reporting. Yanukovych’s victory is not much of a surprise following the results of the first round, but neither is the narrow margin which reflects well the nature of Ukrainian politics. Ukraine is one of the most politically polarized countries in the world, and the map of the runoff reflects that fact very well – more so than the map of the first round. The best example of this polarization is that there are no so-called ‘swing oblasts’ which have a good chance of voting for either side. Only one oblast switched from the first round, it was Zakarpat’ska, which narrowly voted for Yanukovych in the first round. But even in Zakarpat’ska, it’s more the result of a consolidation of the Orange vote behind Tymoshenko, so the switch in allegiances there was predictable. Tymoshenko managed to win Yuschenko and Yatsenyuk’s first round vote, while Tigipko voters split roughly equally (44-43) between both candidates. Obviously, most Symonenko voters backed Yanukovych in the runoff. The momentum and power was on Yanukovych’s side throughout the campaign for the runoff. I would be cautious before qualifying Yanukovych’s victory as a large victory for Moscow and a rebuke of more pro-Western policies by Ukrainians. The contentious issue hasn’t subsided, and polarization is still heavy. At the same time, Yanukovych didn’t win because of his personal popularity or even his regionalist policies, but much more because he represents a vote for stability. The vote was a clear rebuke of the instability, feuding and failed policies of the pro-Western government. Yanukovych’s election will signal only a minor change in relations with Russia, probably a friendlier and less confrontational approach in dealings surrounding natural gas with Moscow. Tymoshenko had already toned down the pro-Western rhetoric a bit, and Yuschenko’s government did not usher in major changes in regional ge0-politics except a confrontational attitude vis-a-vis Moscow, an attitude which was clearly rebuked by voters. Yanukovych said it before the election, and it’s quite obvious to any observers, he won’t keep Tymoshenko’s pro-Orange government in place. He has two options before him: appoint a government which supports him using the current Parliament or call snap elections, probably in March. The most realistic outcome is probably a snap election, because Yanukovych would need to garner a majority within the current Parliament to form a government, and this requires one of the current government parties – probably the Lytvyn Bloc – from switching allegiances. There was a provincial by-election for Ontario Legislature in the riding of Toronto Centre last night held after the resignation of incumbent MPP George Smitherman (Liberal) to run for Mayor of Toronto in the Ontarian municipal elections scheduled for the fall. Toronto Centre covers part of the downtown core of Toronto and is a diverse riding in terms of income and ethncity, including both the exclusive affluent area of Rosedale in the northern part of the riding but also some of Toronto’s oldest poor neighborhoods such as Regent Park and St. Jamestown. It also includes more wealthy but liberal areas such as part of the University of Toronto or the city’s gay neighborhood, Church and Wellesley. The riding has been held since its creation in 1999 by the Ontario Liberals, and the federal riding is held by Bob Rae of the Liberal Party. The Liberal candidate was former Winnipeg Mayor Glen Murray, the NDP candidate was Cathy Crowe, nurse and homelessness activist and the PC candidate was Pamela Taylor, lawyer and 2007 candidate. There was also a Green candidate and the perennial independent, John Turmel. In the 2007 provincial election, Smitherman won 47.8% against 20.4% for the PCs, 18.9% for the NDP and 9.7% for the Greenie. The results were rather surprising. The overall result is great for the NDP, decent for the Liberals (especially considering they’ve been struggling in polls these last months) and bad for Tim Hudak’s PCs. While no polling seems to have picked this up nor have any major journalists, this could indicate that urban discontent over the Liberal government’s anti-recession efforts is turning to the left – the NDP – and not to the right. The Liberal economic policies have been criticized for being too right-wing. This could also indicate that the PC replacing their old leader – John Tory – who had a more urban and liberal image with a more rural conservative like Tim Hudak has cost them votes in urban ridings where their vote comes from well-off voters. Obviously, this is only a by-election and nobody knows if these are trends or electoral flukes. The PCs under Tim Hudak face a tough time and Hudak’s efforts to assemble a second Mike Harris coalition is easier said than done, as he’s finding out. Hudak, a right-wing PCer, has sidelined the urban Red Tories (liberal PCers, more like John Tory) in a way which is potentially dangerous. To win in 2011, Hudak must break through in suburban ridings in the GTA and other similar ridings in the Ottawa area, where most Ontarians now live. Voters here aren’t likely to be a fan of Hudak’s brand of more rural conservatism from the Niagara area, and he needs to appeal to more centrist urbane Tories as well as multicultural voters, something which the federal Conservatives have managed to do generally well in the GTA, especially in the 2008 election. Hudak’s strategy faces a double-test on March 4, with two by-elections scheduled for Ottawa West-Nepean and Leeds-Greenville. Held federally by the Tories (under John Baird), but provincially by McGuinty’s Liberals, Ottawa West-Nepean is a suburban and affluent riding west of downtown Ottawa. It is an absolute must win for Hudak if he wants to prove that he’s able to win with his current strategy in 2011. And the Red Tories come in here. Despite the PC candidates in this by-election and St. Paul’s last year being Red Tories, both were attached far too closely to Hudak and Hudak’s PC sidelined their centrist credentials and forced them to take on his anti-HST blue Tory posture. But, at the same time, there is a by-election in Leeds-Greenville on the same day after Harper appointed the incumbent Tory MPP, Bob Runciman, a long-time MPP and Hudak’s likely finance minister, to the Senate. Leeds-Greenville is a very white (98%) – WASP (58% Protestant in 2001), very rural riding in eastern Ontario, the most conservative area of Ontario. Runciman won 56% of the vote in 2007, and the area has always been Conservative – at least in the last 20-30 years. The danger here for Hudak is a challenge from the right, and the candidate of the far-right Ontario Landowners Association in the PC nomination race scheduled for February 7. In 2007, the Landowners got their loud-mouth leader Randy Hillier the PC candidacy in Lanark-Frontenac-Lennox and Addington, after threatening to run independent candidates in 2007. 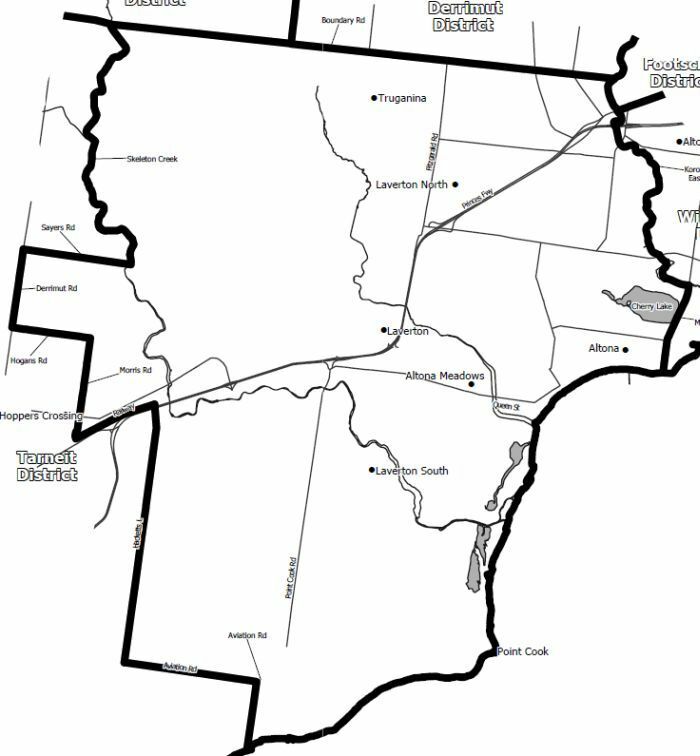 Tory in his time and Hudak must appease Hillier, but the nomination race in Leeds-Greenville pits the candidate supported by the establishment and the former MPP, but also Shawn Carmichael, vice-president of the Leeds and Grenville Landowners Association and a close ally of Randy Hillier. Hudak must appease the radical right enough so that the feisty Landowners don’t run a dissident candidate to the PC’s right which could open up the road to a Liberal win due to vote-splitting on the right. The Liberal Scarf blog notes that in a 1982 provincial by-election in the same area, a Libertarian running to the PC’s right won 13.4%, though the PCs still won. At the same time as he tries to appease the Landowners, Hudak must appeal to more urban conservative voters, who will provide his bulk of support if he’s to win in 2011. On March 4, he must win in Ottawa if he’s to prove to his skeptics that he can re-assemble Mike Harris’ coalition including suburban voters, but at the same time he must not lose Leeds-Greenville or even allow the election there to be close. If he doesn’t satisfy both of these conditions, he could come under increasing fire within his party from the Red Tories and the radicals, and his strategy of presenting himself as Mike Harris’ reincarnation might not be such a great idea.